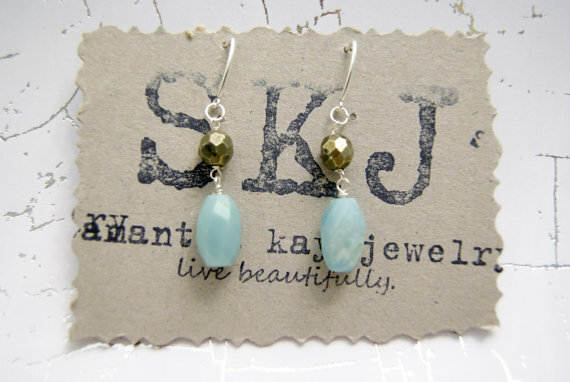 Mix and Chic: Giveaway- Samantha Kay Jewelry! What better way to start the week off than with a fabulous giveaway? I am excited to team up with Samantha Radkte to host my very first giveaway today. Samantha generously offered one of Mix And Chic readers an opportunity to win one of her unique and beautiful handmade jewelry. The winner of this giveaway will get to choose any piece from her Etsy store. Yes, you get to pick your favorite jewelry! How fabulous is that? Below are some of my favorite jewelries from her store. For basic entry to this fabulous giveaway, you must be a follower of both Mix and Chic and Samantha's blog via Google Friend Connect. Also, please visit Samantha's Etsy store and tell me your favorite item. Leave a comment. 2. Follow Samantha on Twitter and leave a comment. 4. 'Like' Samantha on Facebook and leave a comment. 5. 'Heart' Samantha's Etsy store and leave a comment. 6. Blog about this giveaway and leave a comment. 7. Tweet about this giveaway and leave a comment. 8. Mention this giveaway on your Facebook status and leave a comment. This giveaway is open to all readers. The prize will be shipped to the winner in any part of the world (both domestically and internationally). The deadline to enter is August 3rd. The winner will be chosen via random.org and announced on Thursday, August 4th. Good luck, ladies! following you both!! I love the black agate napa valley necklace! and the abe lincoln studs...uh oh I can't decide which i love more! napa valley it is! GREAT giveaway! Great giveaway! I'm liking the Mary Kay Cadillac Necklace! Just became Samantha's follower and liked your FB page. Beautiful jewelry! I have it on my side bar. off to check out her story. I like the MK Cadillac necklace! Beautiful. i am a follower of your's and samantha's blog! and i LOVE the Napa valley necklace! Thanks for an exciting giveaway. What a great giveaway Jessie! I´ve just visited Samantha´s blog and I immediately became follower! And her jewelry is just stunning! Cinderella Necklace is THE piece I´d like to own! It's the Napa Valley necklace II for me all the way! Great gorgeous stuff. Is this giveaway open internationally?? Fantastic giveaway, I love the Ramses of the Memphis Pyramid necklace. It's beautiful! M.
Just "hearted" her on Etsy. Her pieces are so wonderful and very affordable. I think this is going to be my go to for birthday presents this year! Love it. 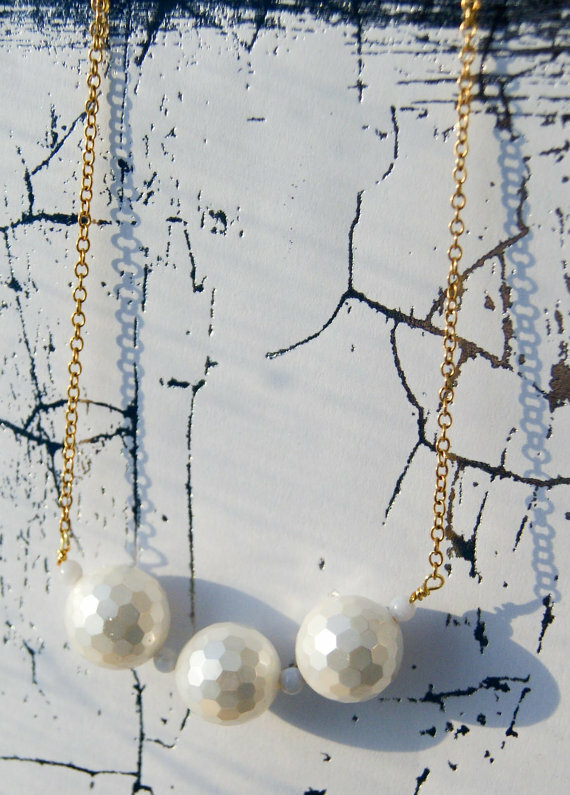 M.
The "Pearly Gates Necklace" is my fav . . . but all the pieces are beautiful! I'm a fan of the turtle dove earrings. I like the tradition of pearls done with a modern whimsey. Nice blog(s)! LOVE those pink earrings in the first photo!! Thanks so much for visiting my blog and following, i'm now following you too! Oooo what a great giveaway Jessie!! I'm now a follower of Samantha's blog. I love the Ghost Busters earrings!! I liked Samantha on fb and left her a comment! I just wrote a blog post about your giveaway Jessie! I shared the link to my blog post about the giveaway on facebook! 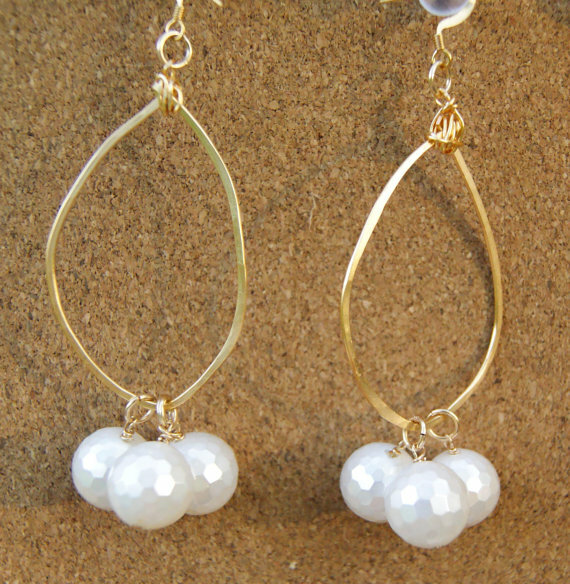 I love the earrings with the hammered finish, and the pearls. So pretty. P.S. Absolutely love your blog design, Jessie. Looks fantastic! Oh, P.S. I also hearted her etsy shop. Love your new blog colours Jessie - lime and navy my favourite! I'm assuming we have to enter these as separate comments so, you already know I follow your blog Jessie, and I've just followed Samantha's as well (which is gorgeous by the way, glad I found it!). I've hearted her Etsy shop (which also wasn't a hard decision because her jewellery is lovely). I love the Monet Water Lily earrings! Liked the MixandChic Facebook page - I'd love for you to drop by mine if you can Jessie, I'm trying to build up the likes for 'Ethos Design'! Sign me up for the MK Cadillac necklace! Love the great giveaway! You know I'm a follower of your lovely blog! I am now a follower of Samantha's blog! Hey Jessie! How are you? Man - I have been swamped and haven't been able to blog as much but thanks for letting me know about this awesome giveaway! I follow u on here and twitter and I just followed Samantha. LOVE her blog and LOVE your new look! Looks amazing!!!! I would love that beige bracelet in the 4th pic. count me in honey! I LOVE the water lilies-Monet! How exciting:) I love Samantha's work. She has beautiful pieces! How to choose? I think the Naked Cowboy Bracelet is my favorite. P.S. I follow both of you! 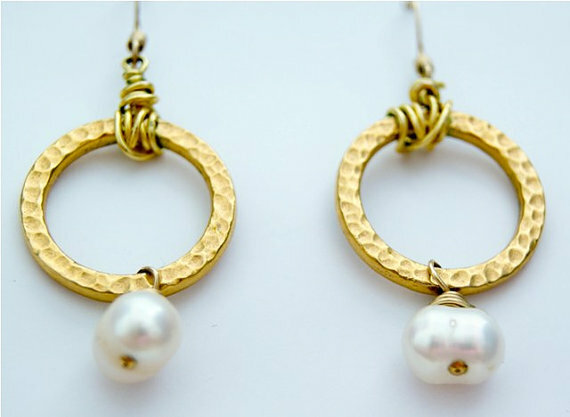 I love the Olympic Rings Earrings and am a follower!! What a great giveaway! Following you (really thought I had followed your blog a long time ago! :) And Samantha's blog now too! Love giveaways!! :) Samantha's pieces are so beautiful, I had a hard time choosing a favourite but I am totally in love with the Ramses of Memphis Pyramid. Following you both! Really beautiful jewelry thanks for the visit and the heads up! I'm following Samantha! I'm following both of your blogs :) I absolutely love the Ninja Turtle necklace! 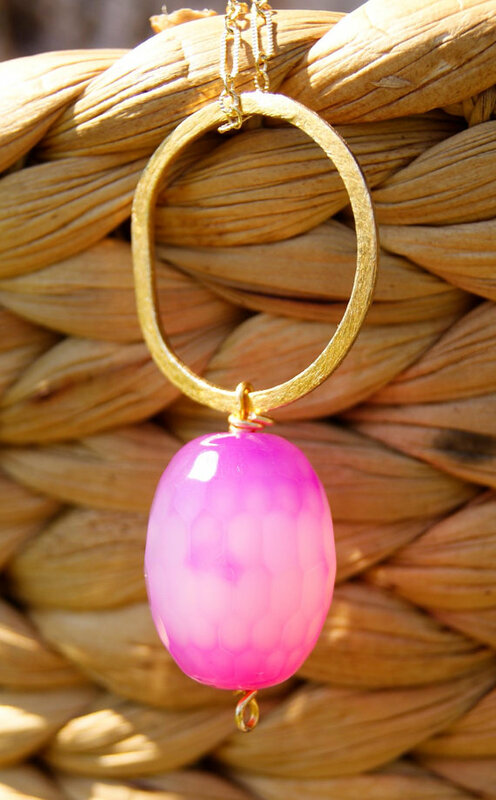 Going gaga for the gold and pink pendant! simple but beautiful! I follow you and Samantha! I also love the Napa necklace with the Black and Gold pendant! I "like" Samantha on FB! 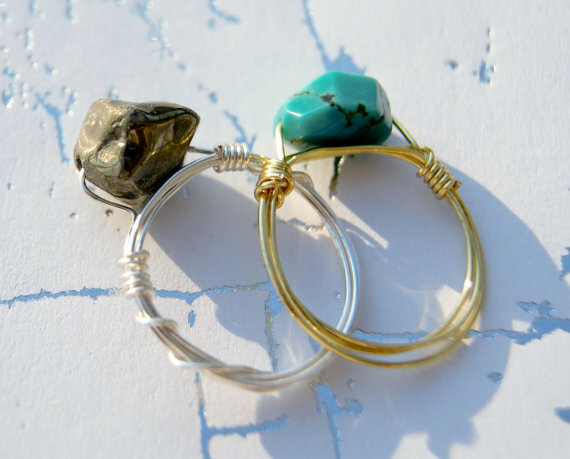 I am drawn to the turquoise pieces a lot - love the Ramses of the Memphis pyramid items..amazing color. I am digging those Olympic Ring earrings! Following you both !! Love the ninja turtle necklace ! I am a follower of you both! I'm following you both. It's a hard call because all the items are gorgeous but I"d have to chose either the Napa Valley necklace or the Turtle Dove earrings. What a generous giveaway! Samantha is very talented! I actually stopped by earlier in the week but walked away because I neede more time to think about which one, of all the pretty objects, that I would chose. And after wearing all white today, I know! 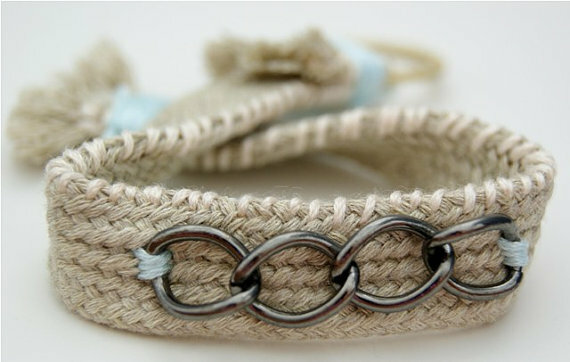 The Ramses of the Memphis Pyramid stacking bracelet, of course! Very summery and very 70's! P.S I was already following you Jessie (plus I have added you to my blog roll. About time!). I am now also following Samantha. I follow both-thanks for a great give-away! My 2 favorite items are Ninja Turtle necklace and Water Lillies-Monet Earrings. You all have been soo kind to me. I am grateful for your support and love of my designs. Keep entering and BEST OF LUCK!! !